Over 100 vehicles for sale each week. Chances are that you will find what you are looking for! HUGE SELECTION! All makes and models of Cars, Trucks, SUV's, Vans, Trailers, Bikes etc. selling at WHOLESALE PRICES! MANY UNRESERVED Selling at unbelievable prices! To the highest bidder! Experience the thrill of a busy live auction. The environment is fun, there's nothing quite like it. Where is the Auction located? 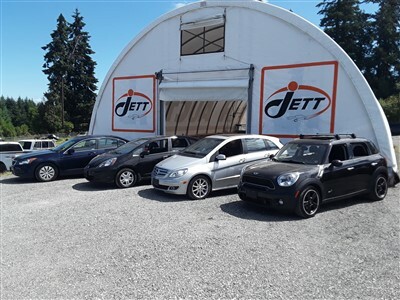 Our Auction is located at 861 Allsbrook Road, Parksville, BC V9P 2A9. Follow Trans-Canada Hwy/BC-1 N and BC-19 N to Alberni Hwy/BC-4A W in Nanaimo. Take exit 51 from BC-19 N.
- Register to bid Saturday Morning at the front office. Gates open at 9:30am. - A Drivers License is required. - A $500 deposit is required after each winning bid. 4. M/C & Visa - Additional merchant fee to use this option. 5. Sorry No Personal Cheques will be accepted. Terms - Vehicle declarations will be declared. See below. - The highest bidder shall be the purchaser. - The purchaser is responsible to view the vehicle prior to bidding. - Payment in full or a deposit of $500 is required Saturday after each winning bid. - The balance to be paid the following Tuesday by - 4pm. - There will be a $10 per day Storage fee starting the Wednesday after the auction for any car that has not been picked up. Fees - All applicable taxes will be added to the purchase price of all taxable items. Insurance Insurance representatives will be on location for insurance on vehicles paid in full. Vehicle Declarations Auctioneer will announce declarations if any apply. HO$2K: Former collective claim with ICBC $2000 +. Includes Glass claims. OOP: Vehicle originated outside of BC. Inspection passed & now has BC title. NIR Vehicle title originates outside BC. Inspection is required for BC title. TMU True mileage unknown . REB Rebuilt Status. Passed Inspection & Rectified. Vehicles are free & clear of the above declarations. b) If you select to sell it with a reserve (Protected Price) there is a $30 run fee per auction after the first auction in addition to our sellers fee. If it does not sell and you choose to remove it from the Auction there is a $50 Set up Fee and $30 run fee for each run after the first. In addition to both above $65.00 car proof (if not supplied)(you get to keep if you choose to remove the vehicle from the auction)+ $28.00 (registration fee if sold). All you have to do is drop by and we will do the rest. How do I know what vehicles are available? Everything on our website (plus a few more that may be late entries) are running. The website is updated on tuesday morning before noon showing the vehicles that SOLD LAST AUCTION. We update the website every Tuesday, Wednesday, Thursday and Friday. The best time to view everything running is Friday Evening. The auction starts promptly at 11:00 am, we start running the "A" Lots first, then "B's" , "C's" Ect. Please visit/browse Live auction world website for precise lot numbers. What is a particular vehicle going to sell for? Hard to say what it is going to sell for , It's an auction, it all depends on the interest at the time of the sale. When can I preview a vehicle? Daily vehicle viewing (including access to vehicle’s interior) is from Tuesday through Saturday. Gates open at 9:30am. Do you have any warranties on the vehicles? Yes ! If you buy a car for more than $2500 and there is a MAJOR problem with the Engine or Transmission diagnosed buy a licenced mechanic we shall refund your money (less the registration and/or Visa fee's). If you pick it up on Saturday you must let us know there is a issue by Tuesday. If you pick up the car on Tuesday you must let us know there is an issue by Wednesday before close of day. Do you have any warranties we can purchase? Yes ! Click here for more information. Can I test drive a vehicle? As all of the vehicles are owned by dealerships, Private Consigners, Estates and Repo/Banks, we are unable to offer test drives. You can start them and test the options any time we are open. What are the terms? - Vehicle declarations will be declared. See above. - Bidders cannot retract their bids. What is the opening bid on a particular vehicle? The first person to bid on a particular vehicle is the opening bid ( bidder). The auctioneer will ask for a certain bid if he does not receive one he will continue lowering that number until he receive a bid from a buyer in the audience. Is there a buy now option to purchase a vehicle? All vehicles are sold by auction on Saturdays. What was the selling price of a particular vehicle? The selling prices for vehicles can be seen in the market reports on our Gallery "Sold" page.